Monopotassium Phosphate is a chemical compound that finds immense application in the fertilizer industry in the manufacturing of potash and other fertilizer products. 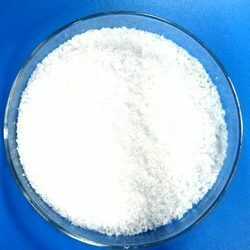 Mono potassium phosphate is formed when caustic potash lye or caustic potash flakes are added to the solution of phosphoric acid until the desired PH is obtained and further dried to obtain fine quality white powder. 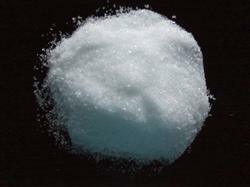 Mono Potassium Phosphates is a rich source of phosphorous and potassium. Mono Potassium Phosphate anhydrous is a chemical compound that finds immense application in the fertilizer industry in the manufacturing of potash and other fertilizer products. We process high-grade raw material sourced from trusted vendors to manufacture this product. These chemicals are acclaimed in the market for their precise composition and accurate pH content. Potassium Phosphatemonobasic is a chemical compound that finds immense application in the fertilizer industry in the manufacturing of potash and other fertilizer products. We process high-grade raw material sourced from trusted vendors to manufacture this product. These chemicals are acclaimed in the market for their precise composition and accurate pH content. We are one of the relaiable and trusted manufacturers of Potassium di hydrogen phosphate in Mumbai, Maharashtra, India.